A couple of years ago I wrote a blog post about how I was addicted to cottages. You can see it here. The fact that I've used Cottages in my designs two or three times in recent months, probably means I'm still in love with them! 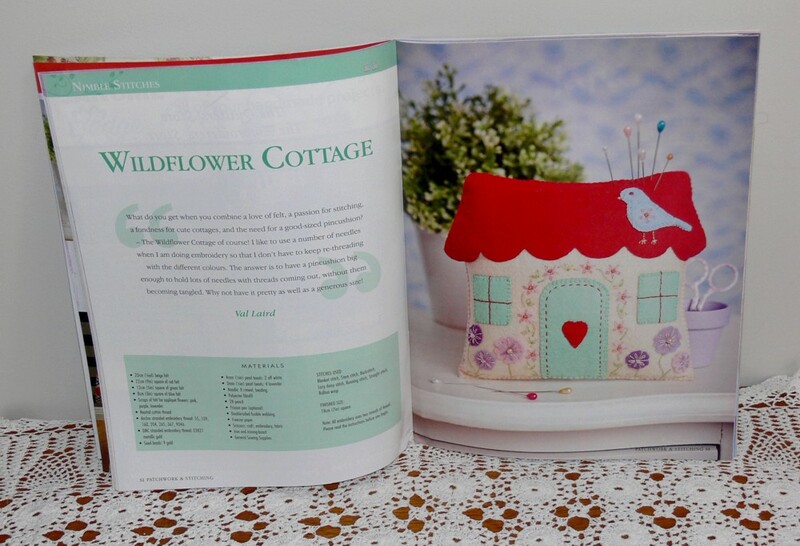 The pattern is in Patchwork & Stitching Magazine, Vol 16 No 11. It's back to the drawing board with this project as it is nothing like what I originally had in mind and I'm not at all happy with it. The concept was good but the execution just didn't cut it. One day I might get motivated to have another go. Body and brain have been on a bit of a "Go-slow" strike lately and I was behind with my Craftsy block of the month quilt that I have been making. I finally faced the challenge of complex foundation piecing and got stuck into the two blocks for August. 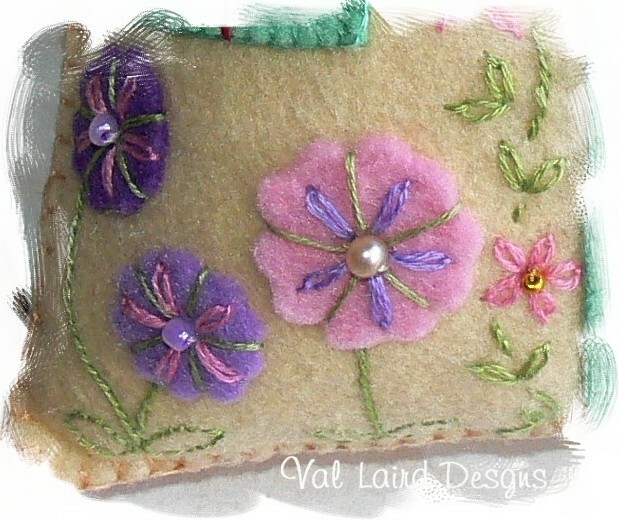 I can't say I enjoyed the process as it's so time-consuming cutting out all those little bits of fabrics in odd sizes. Then there was the usual unpicking and resewing so it took me about three hours to complete the block. I do, however, love the accuracy of this type of piecing and it's rewarding to have all the points so "pointy"! The second block only took me half the time so I learned from my mistakes! Keep an eye out next week for the last block in the free Keys to Contentment quilt. All the blocks are still available - go to my free patterns page for the download links. That certainly is a fiddly pattern but oh so effective. I love houses etc too so I'll be searching for that one. It's a lovely cottaage Val. 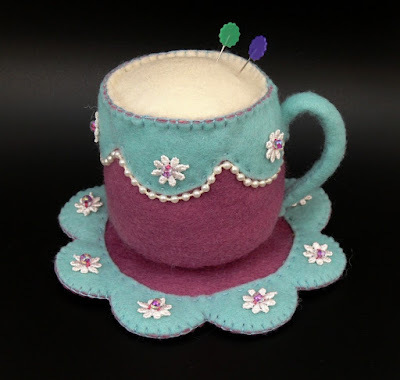 The tea cup is cute too (even as an-in-progress design). What a complex block, that would require a lot of patience and persistence. Val, I love your cottage. So sweet. I should get motivated and make one myself. The cottage is very cute, and I love the details like the bird and the embellished flowers. However, I also love the cup and saucer. I don't know what you had in mind, so I can't see its failings. =) Your block and colors for the Craftsy blocks are perfectly wonderful! I love your cottage, Val. It is gorgeous. 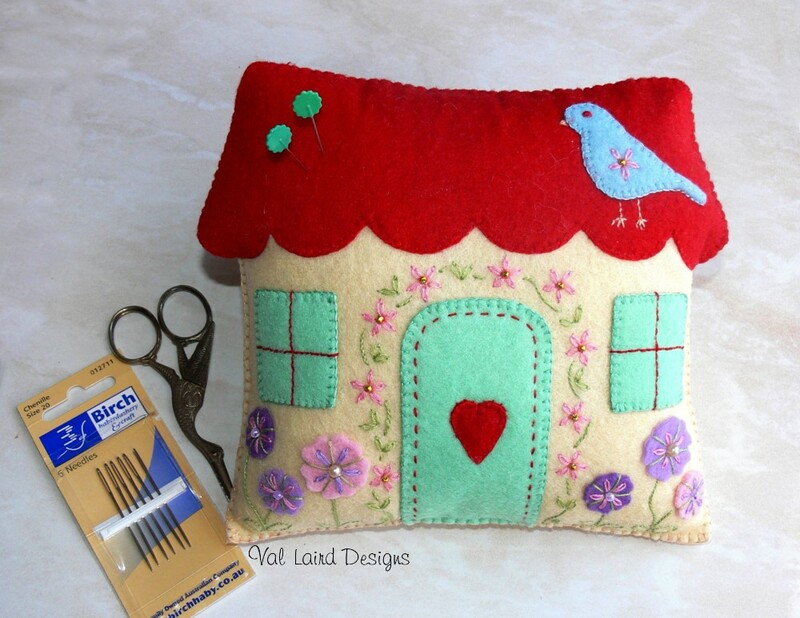 Your cottage pincushion is fabulous. I LOVE the cup and saucer. I can't imagine that it needs to go back to the drawing board. 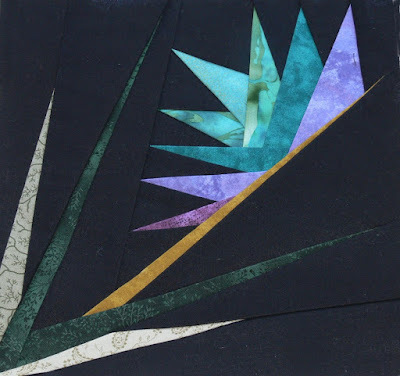 Your paper piecing block is great too. Nice work. I love the tea cup pincushion. Would love to have the pattern.